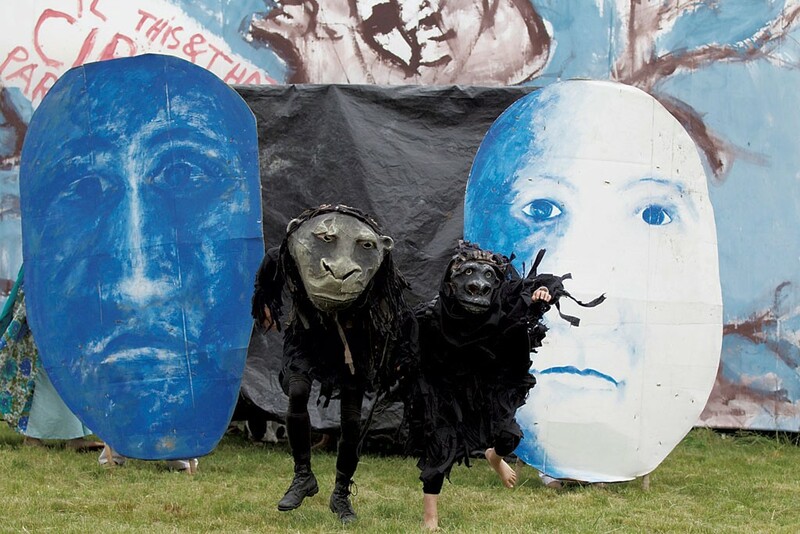 Northeast Kingdom neighbors Sterling College and Bread and Puppet Theater will collaborate on a four-week art-making course this summer, giving expression to their philosophical as well as geographical proximity. It's something of a new direction for the small school in Craftsbury Common that focuses on outdoor education. Many Sterling students attend Bread and Puppet performances in Glover, but this will be the two institutions' first formal partnership. Enabling students to help build puppets and to learn singing and dancing is consistent with Sterling's experiential approach to education, says Pavel Cenkl, dean of the college and its humanities faculty. "It will be a great opportunity for students to immerse themselves in something very hands-on, very experiential," Cenkl notes. Brooke Blodgett, a junior from Austin, Tex., is excited to be taking the six-credit course, even though the outdoor-education major has no background in studio art. "I've been to Bread and Puppet shows, and I think they're amazing. I find their art really accessible, but it makes a big impact," says Blodgett, who hopes to work in a community-based bakery after graduation. Four weeks of learning at Bread and Puppet might affirm that career choice. "Bread is everything for us," declares Peter Schumann, who founded the troupe on Manhattan's Lower East Side in 1963. "The shows are a way to get people engaged with the bread." The pageant-like productions have emphatically left-wing content. This summer, Schumann notes, Bread and Puppet will stage "Nothing Is Not Ready," which is intended, he says, to incite "a mass uprising against the politics and economy of this era." Schumann rejects the notion that art is — or should be — separate from politics. He points to inequities in the global art market whereby what he considers schlock work by Andy Warhol and Jeff Koons sells for multimillions, while "thousands, probably millions, of gifted artists in the world make pennies from their work. Puppetry," Schumann adds, "has existed longer than many other arts, but it's been marginalized from the beginning." Political discussions will be an integral component of the course, titled "Art and Activism." The fee is $2,720, which covers room and board at Sterling as well as the instruction in Glover, which will be overseen by college environmental humanities professor Jody Frey. The course is open to anyone, not just students currently enrolled at Sterling. The original print version of this article was headlined "Puppet Ed"